Dram Shop Attorneys in Texas & South Carolina | Branch & Dhillon P.C.Branch & Dhillon, P.C. Businesses engaged in the sale and service of alcohol such as bars, nightclubs, and liquor stores may not sell alcohol to a person in an intoxicated condition. Too often these establishments will put profit over safety by continuing to sell alcohol as long as the customer is paying; even if the customer is visibly intoxicated. Other times, the establishment fails to establish safety protocols which alert bartenders when customers have had too much to drink. The result is that the intoxicated person decides to then get behind the wheel of a vehicle, and crashes into an innocent motorist or pedestrian, often times causing devastating injury. Bars, nightclubs, liquor stores and other establishments that sell alcohol are legally liable when they serve customers who are intoxicated. Branch & Dhillon dram shop liability attorneys fight hard to hold bars, nightclubs, and liquor stores who make these illegal sales of alcohol. Twenty-four states, including South Carolina, have laws that hold sellers of alcohol accountable for serving alcohol to intoxicated persons who then cause someone else harm. The most common example of this is drunk drivers who were over-served by a bar. Branch & Dhillon attorneys are experienced in prosecuting civil cases where a bar or liquor store is in violation of this law. Private individuals, even if not in the business of selling alcohol may be held liable if they provide alcohol to an underage individual, and the underage individual causes another harm such as a drunk driving collision or assault and battery. When sellers of alcohol over-serve their patrons without regard for their safety or the safety of others, their victims can receive compensation for medical bills, lost wages, pain, and suffering, and often times may recover punitive damages. If you are a victim of a drunk driver or another intoxicated person contact Branch & Dhillon P.C. in Columbia, South Carolina today to see if you may have a case against the entity that sold or provided the alcohol to that person or drunk driver. Included in Texas’ Alcohol Beverage Code, the Dram Shop Law in Texas states that establishments that sell alcohol are liable for damages caused by obviously intoxicated individuals to whom they sell more alcohol. Similar to the Dram Shop Law in South Carolina, this statute also grants underage people who get into drunk driving accidents the right to sue the establishments that sold them alcohol for any injuries they suffer. Texas civil courts may also require liable businesses to pay wage losses and vehicle/punitive to plaintiffs in dram shop cases. Branch and Dhillon attorneys will work to get victims of Dram Shop Law violations in Texas the compensation they deserve. A dram shop law attorney in Tennessee must prove beyond a reasonable doubt that an establishment selling alcohol to an already intoxicated individual directly contributed to the injury or death of a third party. Despite having dram shop laws, Tennessee courts have a history of attempting to hold the people who have decided to drink excessively solely responsible for deaths or injuries due to their intoxication. 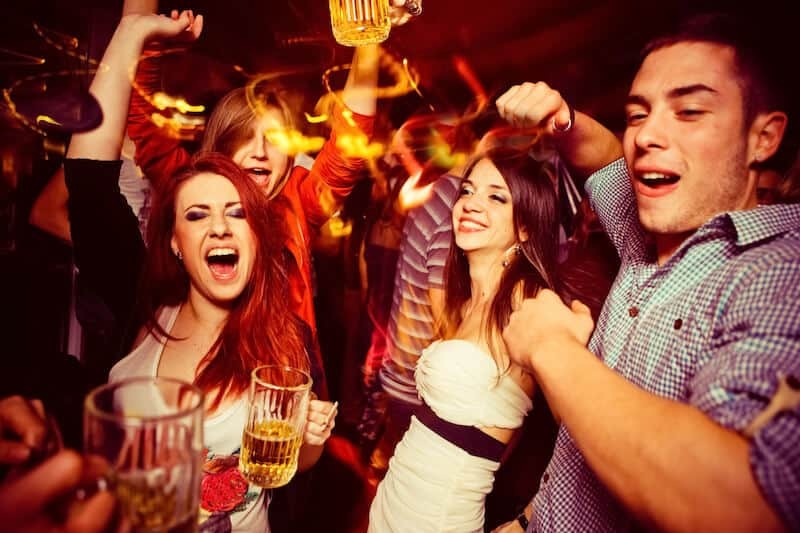 It is more difficult in Tennessee than South Carolina for plaintiffs in dram shop law cases to establish that bars, restaurants, or nightclubs should be held liable for damages, but Branch & Dhillon attorneys have won dram law cases even in this state. If you have been a victim of a drunk driver who may have been over-served, hiring a dram shop law attorney will expedite your civil case and get you the compensation that you need to pay for medical bills and other damages. Branch & Dhillon attorneys will meticulously examine your case and gather the necessary evidence in order to thoroughly argue your case in court. We may bring in toxicologists, video evidence, witnesses, alcohol service professionals, and any other people or resources that may help us win your case. Contact Branch & Dhillon P.C today by calling (817) 533-3430 (Texas), (803) 626-1345 (South Carolina) or (901) 249-4790 (Tennessee) to set up a free consultation with an experienced dram shop law attorney. For your convenience, we also provide an online form which you can fill out while recovering at home or in the hospital. We are here to get you the compensation you deserve for your medical bills, pain and suffering, lost wages, and property damage. When establishments that sell alcohol fail to follow dram shop laws, we have the experience, determination, and resources essential to prove negligence and hold businesses responsible for your injuries and damages.